A priest saying Mass at the chapel of St Catherine Home for the Elderly, in Attard on Saturday evening did not demonstrate much brotherly love when he appeared to be blaming parish priests for the fact that people were staying away from Church. He was correct saying churches need to have a ‘warm’ and welcoming environment but the way he articulated his message was very ‘cold’ indeed, especially to his brotherly clerics. The upgrade of two roundabouts in Żebbuġ last summer cannot be said to have been completed. 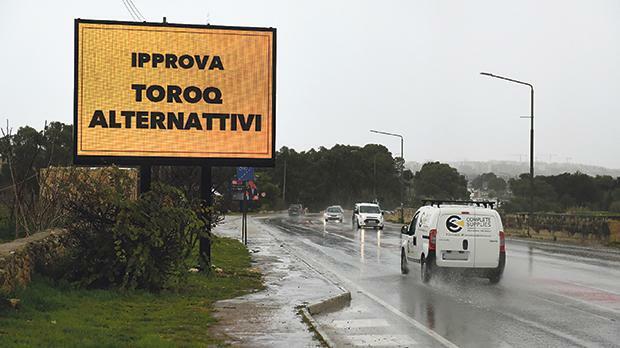 The project was aimed at improving traffic flow in Mdina Road, the arterial road linking the two roundabouts, the plan being to add more lanes and reduce the size of the two roundabouts. Despite the works being completed months ago, pipes can still be seen protruding from soil on the roundabouts, though flowers and plants have yet to be replanted. The recent bad weather seems to have taken its toll on quite a number of signs, with some even being blown away. 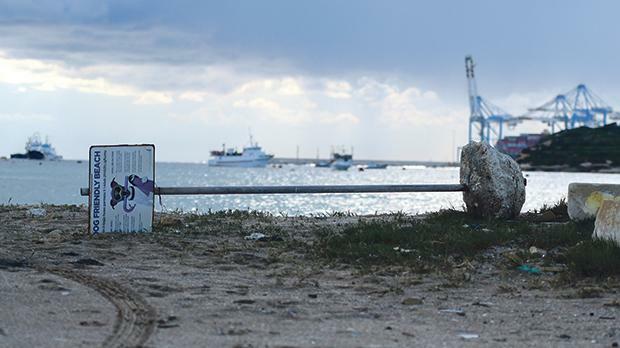 In Marsaxlokk, a sign containing guidelines to those taking their dogs to the beach was downed. Nature is, of course, powerful but are signs fitted to last? The ‘smart’ signs by the transport authorities to guide motorists are a welcome upgrade. Yet, it seems little effort is made to test them before putting them in use. Take the one on the Burmarrad bypass. The light emitted by the sign is so bright it blinds drivers, apart from causing a blind spot beneath it. 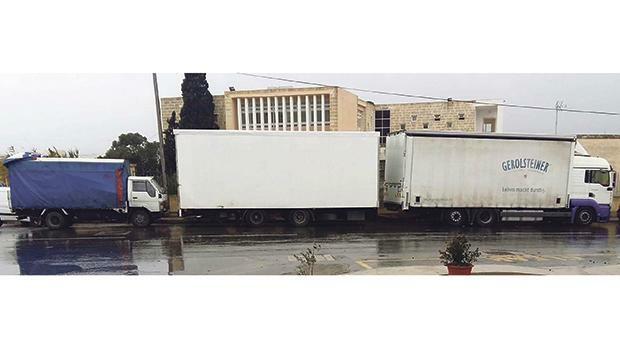 It seems truck drivers think they are above the law just because size matters. It is not unusual for this column to flag complaints of abuse by such motorists who leave their juggernauts anywhere they please, with no regard to other road users. The photo above was taken in Joseph Abela Scolaro Street, Ħamrun.